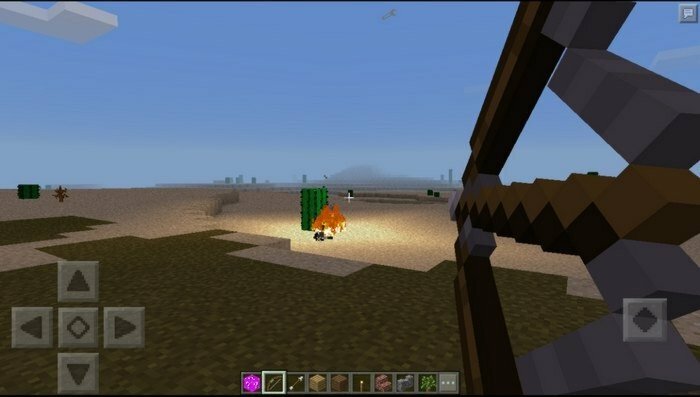 This mod adds a new type of arrows with destructive power into the game, called Thunder arrows. 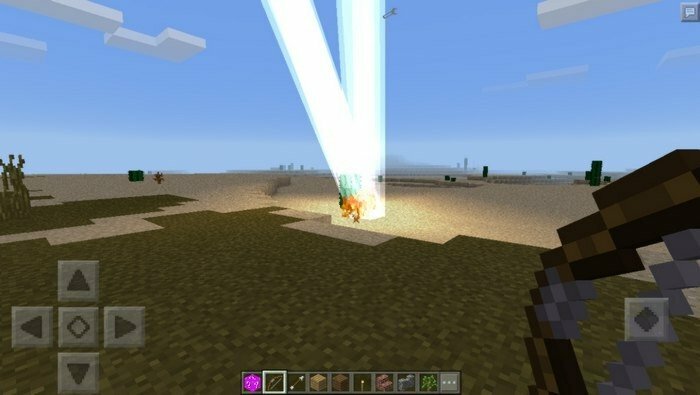 Using this magic arrows you can destroy anyone, shoot the arrow just like normal and after it hits something, a bolt of lightning will strike this place from the sky dealing huge damage. Just be carefull using it, you can accidentally hit yourself or set things on fire. Type /on in chat to get starting kit with bow and 99 arrow and make them work, type /off to switch it off.